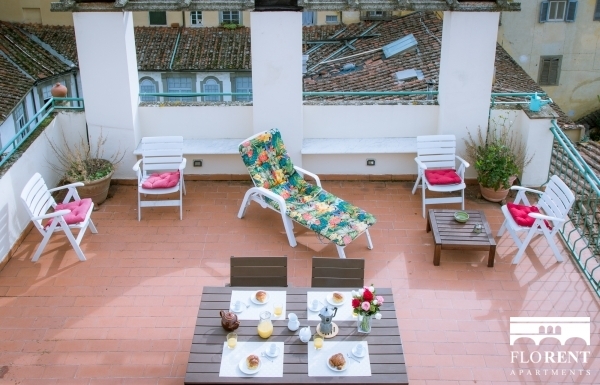 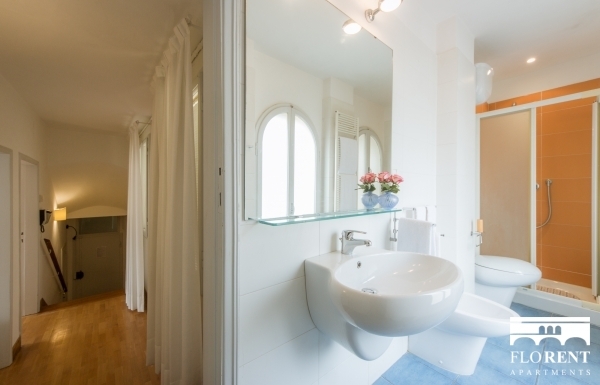 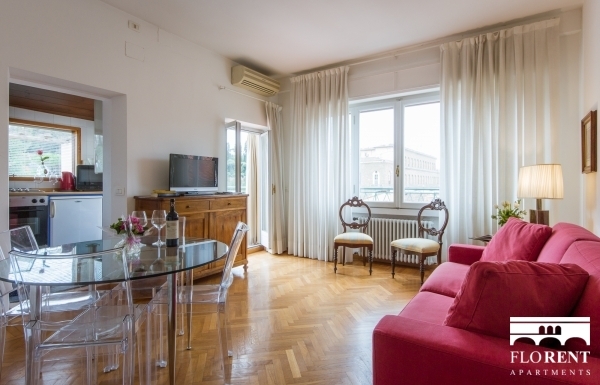 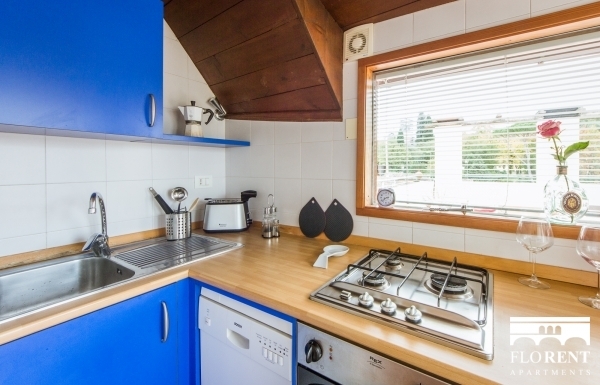 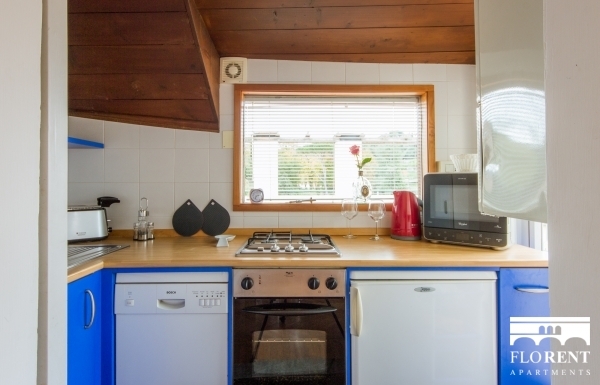 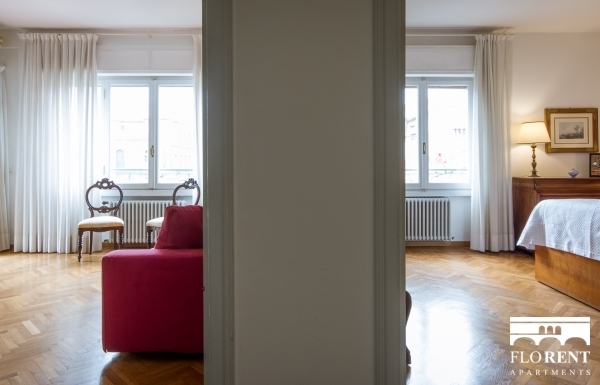 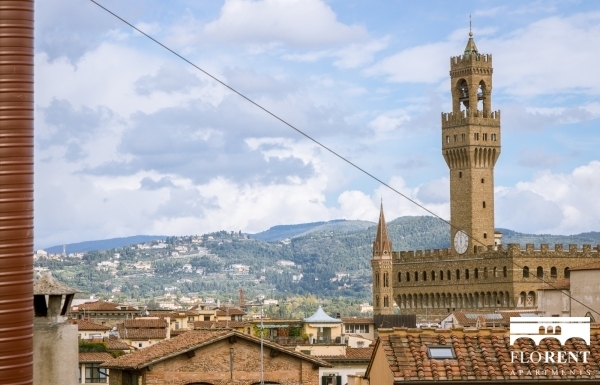 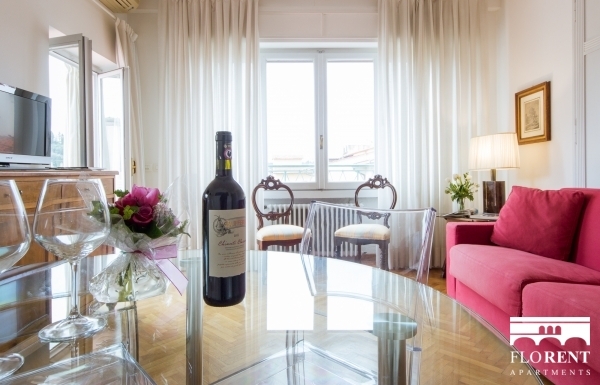 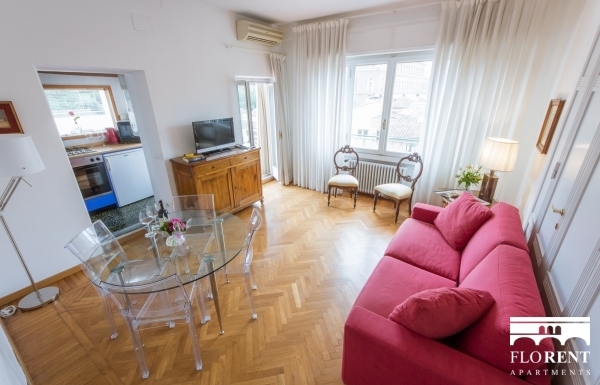 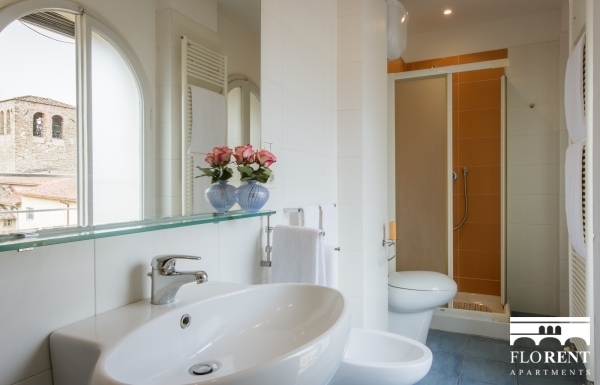 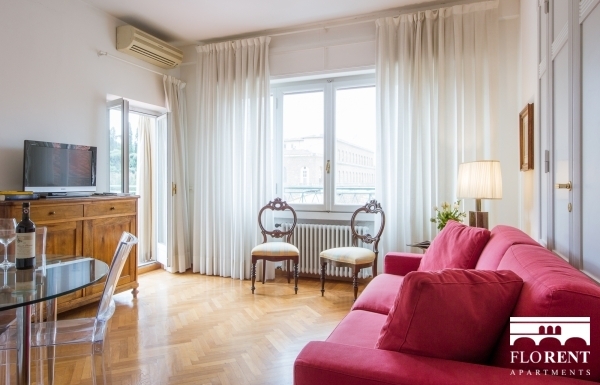 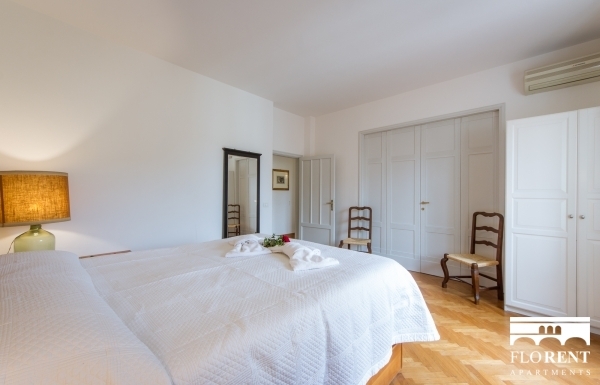 One bedroom apartment with stunning terrace and amazing view over Florence, at the 6th floor of a historical building equipped with elevator. 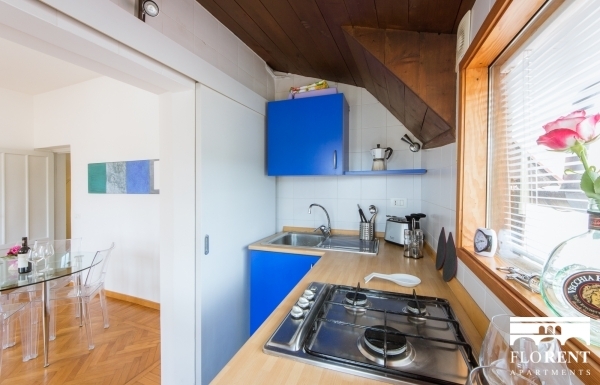 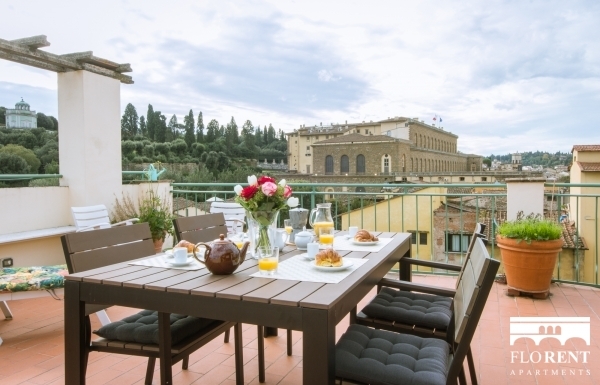 You'll enjoy sipping a glass of wine and staring at the skyline of Florence from the 50 square meters terrace of this apartment in Piazza Santa Felicita, steps away from Ponte Vecchio bridge, and a few blocks away from the Boboli Gardens, the most renowned garden in Florence. 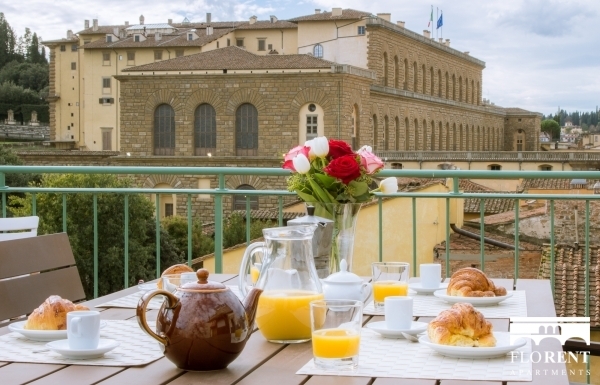 Piazza Santa Felicita is a lovely little square a few meters away from Ponte Vecchio. 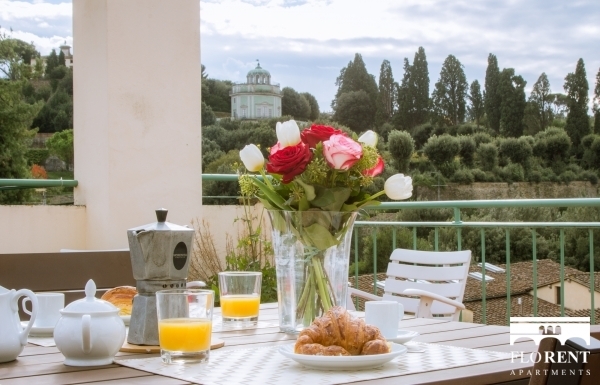 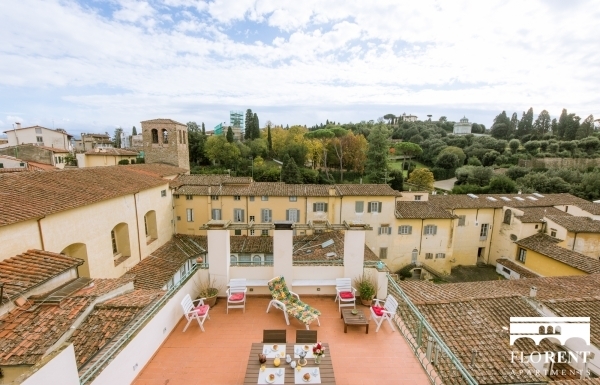 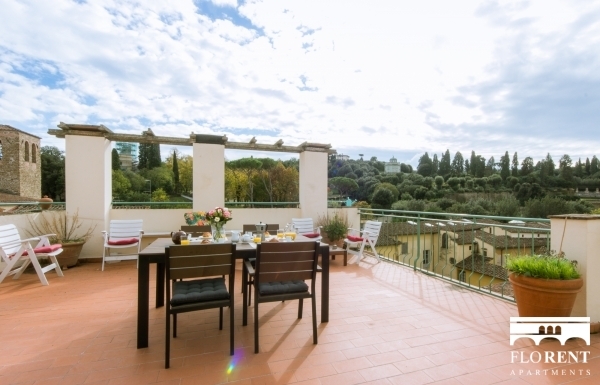 From the terrace you'll enjoy the view over the Boboli Garden.